Yesterday was Mother's Day, and I spent the entire day celebrating and relishing in the sweet baby boy that gave me a reason to celebrate. Being a mom is the joy of my life, and I am so grateful to be on the journey. Mother's Day is always a reminder of the little girl who made me a mom. I always wish I could hug her a little more on Mother's Day. 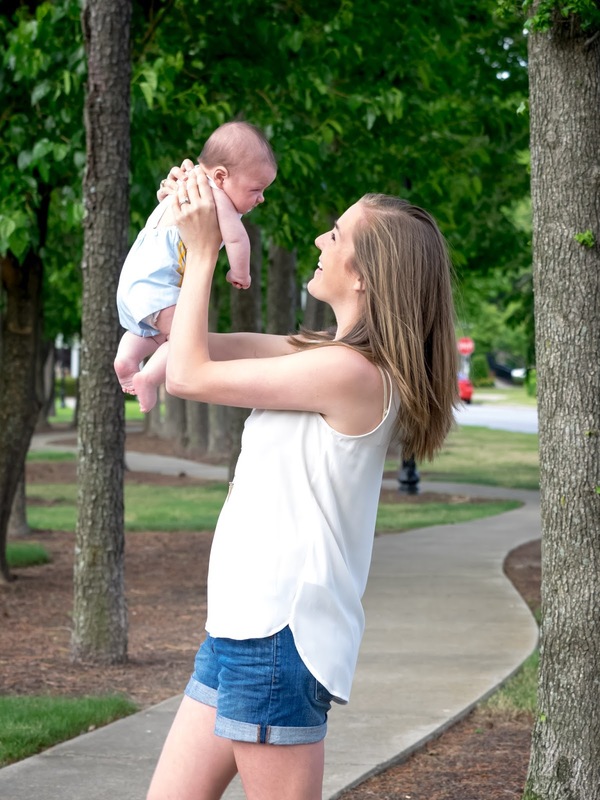 Taylor Grace will always be the one who made me a mom in my eyes, but baby Preston is the one who made all my dreams come true. Getting to be his mama here on earth is the sweetest gift! I think Mother's Day is hard for as many people as it is joyous. Whether you've lost your mom, lost a baby, or struggled with infertility, it's a hard day for many. For anyone that fits into that category, you were on my heart and mind yesterday, and you were in my prayers. Mother's Day was a hard day for me last year and the year before. It was a happy day to celebrate my amazing mother, but it was also a day to remind me that I didn't yet have any babies here on earth. This year, I am thankful for God's provision. A year ago today, we had no idea that baby Preston would arrive 10 months later. We had no idea just how greatly God would be blessing us in 2017. Rejoicing with you in this beautiful season the Lord has you in!! So glad you were able to enjoy the day! I love this post and you are so right! I am so glad you were able to enjoy the day. You deserve it! I love this post! I love how last year you had no idea that Preston would be joining your family so soon!